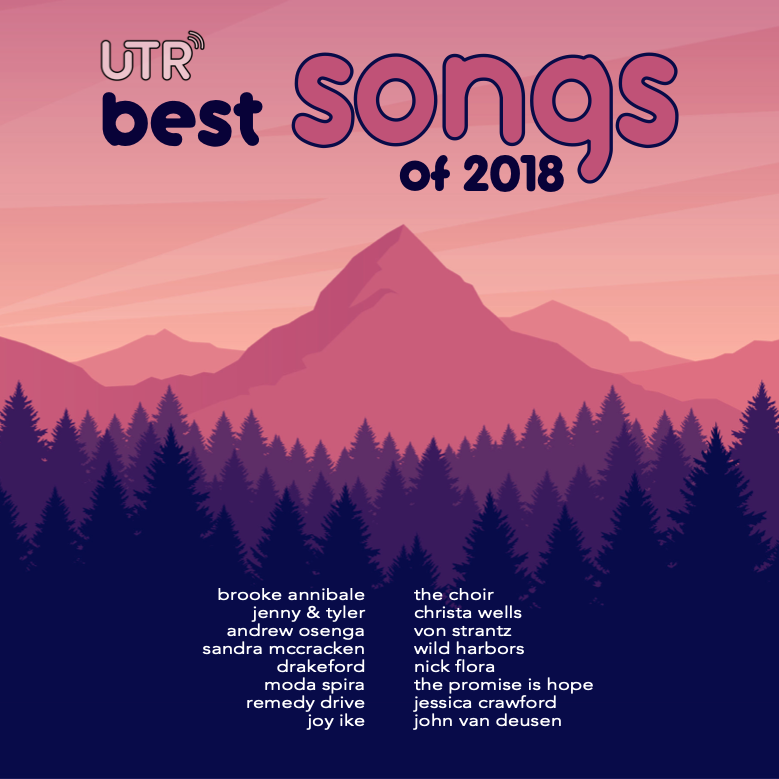 We are excited to announce the release of our brand new various artists album UTR’s Best Songs of 2018. These 16 songs represent just some of the four-dozen tracks hand-picked by our Critics’ Panel as the best individual “gourmet songs” of 2018. This release has songs with thoughtful, honest, weighty lyrics – and a variety of musical styles represented, including pop, folk, rock, hip-hop, worship, & soul. To be honest, this might just be the BEST compilation album that UTR has ever released. If you enjoy it, let us know …and share the album with your friends. The album is available NOW for streaming or digital download for FREE through NoiseTrade. If you feel led to give back some of the blessing these songs give you by hitting up the tip jar, 100% of those funds go directly to support the non-profit work of UTR Media.